As part of their training, the Armed Forces and military police have recently completed their first unit on riot control. QNA reports that the four-month course focused on developing skills to deal with crowd control, stadium security and rules about dealing with riots. There were also sessions on different types of weapons and gear used by riot police, as well as control and arrest techniques. The training was held at the Military Police School. It attended by members of the Emiri Land Forces Command, several military police commenders, members of the Joint Special Forces Group and the Emiri Border Command. The government didn’t specify who was conducting the training sessions. But over the past few years, Qatar has partnered with various police forces in Canada, France and the UK to help improve its ability to manage large crowds and maintain order before the tournament. 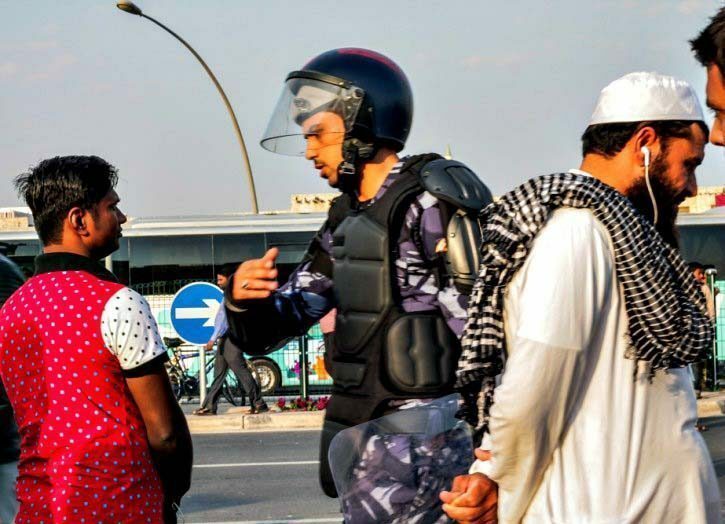 Help aside, Qatar already has strong riot prevention protocols in place within the country. For example, a big fight broke out in 2014 between construction workers and security guards at the under-renovation Sheraton Doha hotel. At the time, four buses of riot troops responded to the scene. While protests are rare in Qatar, authorities take them very seriously due to the high number of construction workers in the country. Despite security concerns from the US, a recent audit of Qatar’s Hamad International has found it to be one of the safest airports in the world, officials said. The results come amid an indefinite ban on laptops and tablets onboard flights from Doha and nine other Middle Eastern cities to the US. The US Department of Homeland Security said the move was made in response to concerns about potential terrorist attacks. However, Qatar apparently scored highly in a February audit by the International Civil Aviation Authority (ICAO). 100 percent in a section that related to customs and immigration processes. The USAP results “proved that HIA is one of the safest airports in the world,” the head of the Qatar Aviation Authority (QCAA) said. However, it is difficult to assess how Qatar measured up against other nations. This is because results of ICAO security audits are usually kept secret. In the past, only a few nations have chosen to share their scores with the public. In November 2015 for example, Indian aviation authorities disclosed that they had been given scores of 99.23 percent and 99.59 per cent in two ICAO audit areas. And in April 2016, Nigerian authorities said they had scored an average of 96 percent in a similar audit. Qatar’s MOI did not respond to requests for more details about the country’s scores or world ranking. Another notable fact about the audits is that countries are given at least four months notice before they are conducted. And they have the opportunity to accept or reject suggested audit dates, according to USAP guidelines. Still, the average of the three scores shared by Qatar officials – 98.6 percent – is a big improvement from the nation’s 2012 overall score of 78.76 percent. That was when flights were still departing from Doha International Airport. Speaking to QNA, Director of Airport Security Brig. Essa Arar Al Rumaihi credited the higher score to a combination of better training and an investment in new technology over the past five years. 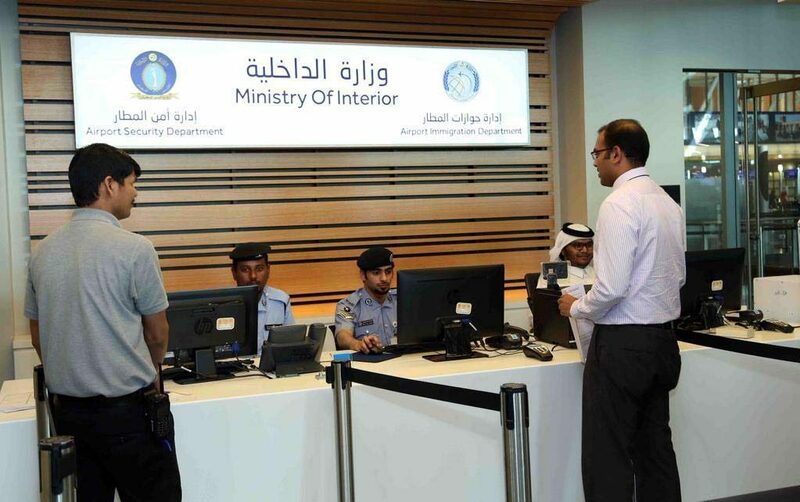 HIA has has apparently trained more than 1,000 security personnel since it opened in 2014. It has also purchased new “inspection” devices that airport officials say will speed up the movement of passengers through security checkpoints. More details about these devices have not been shared, but officials said that they were being used “for the first time in the world” at HIA. Meanwhile, officials continue to work on introducing a “smart traveler” system at the airport, plans for which were announced last year. The goal is to automate almost all processes at the airport, from bag weighing to boarding pass printing to e-gates and boarding the aircraft. The move should help with wait times at the over-capacity airport, as well as reduce costs for operators. Among the new processes is e-gate, which fast-tracks residents through immigration. This service was rolled out free of charge to adults living in Qatar late last year. According to airport officials, making it free has caused many more people to avail of the service in the past several months. But because it is not open to children, some travelers still face lengthy waits at immigration.